Last weekend I attended Slam Dunk Festival with the sole aim of finally seeing one of my favourite bands live. The Maine did not disappoint. Their set was everything a fan could wish for - great music with a couple of the hits thrown in, plenty of comedic moments and an abundance of audience participation! It was only when the band played one of their most recent releases ('Bad Behaviour') that I realised I hadn't written about their incredible new album yet. 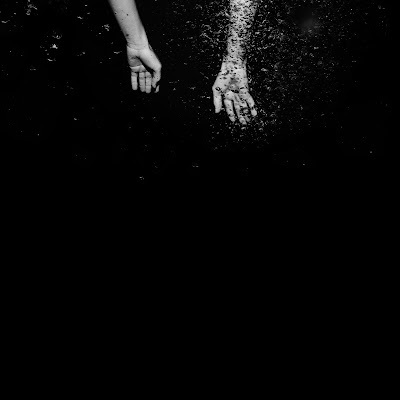 So here it is, my take on The Maine's 'Lovely Little Lonely' album. Released in April 2017, 'Lovely Little Lonely' builds upon the success of The Maine's previous album 'American Candy' incorporating memorable hooks with rhythms that drown you in the desire to dance. A clean, typically Maine sounding guitar and clear vocal introduces the album with a tambourine lifting the song. 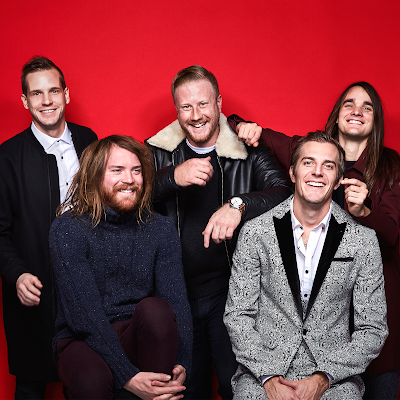 As soon as the drums hit you know you're in for a treat - the summer vibe exerted so perfectly by The Maine has begun. This is 'Don't Come Down', a song about living in the moment, appreciating the good times and not getting caught up on the bad times whilst surrounding yourself with the best people to enjoy each day. One thing that The Maine do extremely well is create catchy choruses that will get stuck in your head for the foreseeable future - this isn't a bad thing. 'Bad Behaviour' is one of those songs that you can't help but hum and tap a foot along to as soon as you hear the ring of guitar and crash of drums that start the track. Seeing this performed live was everything you'd imagine it to be - everyone jumping and singing in unison with not a care in the world. As the lead single from 'Lovely Little Lonely', 'Bad Behaviour' doesn't hold back from the beginning and tells the story of a romantic encounter with a girl that could be disadvantageous for both parties. Interestingly, the track 'Lovely' follows 'Bad Behaviour'. This is the first of three instrumental tracks that make up the albums title. However, the pace isn't reduced too much during this interlude as 'Lovely' is only thirty seconds long and flows perfectly into the next single to be taken from the album - 'Black Butterflies and Deja Vu'. With arguably a slightly different tone, perhaps less upbeat than previous tracks, 'Black Butterflies and Deja Vu' is still as catchy as you'd expect. I particularly like the fact that during the choruses drums are reduced to allow the listener to appreciate the piano part layered underneath mellow vocals. Some may interpret this song in a romantic sense but in essence 'Black Butterflies and Deja Vu' is about the moments that words can't fully describe. Next up is 'Taxi'. I felt as though I already knew this song the moment I first heard it. With a simple acoustic guitar and John's vocal, it felt like a throw back to the last album. Presented as a much more mellow track than the ones that precede it, 'Taxi' is a song about a conversation about the troubles of the world and worrying in the back of a taxi on a night out, resulting in the conclusion that the world isn't perfect but we face it together. 'Do You Remember' keeps up the fast momentum of 'Taxi' with added fuzzy guitar riffs and a reminiscent feel. Another short interlude entitled 'Little' follows featuring tribal like drums and a muffled vocal. This provides breathing space between contrasting sections of the album. 'Sound of Reverie', 'Lost In Nostalgia' and 'I Only Wanna Talk To You' make up this section and, as some of the names suggest, there is a reflective vibe to most of these tracks. Listen out for some interesting guitar tones in 'Sound Of Reverie' and the words 'one more time' at the end of the track - I thought this was an interesting end. 'Lost In Nostalgia' is a slower song with a defined beat and a somewhat different sound to the rest of the album. A repetitive shuddering guitar and infectious bass line provide a refreshing tone to this relatively short track. It seems as though this section of the album was made for a different sound. 'I Only Wanna Talk To You', again, has a slightly darker tone than the beginning of the album and a slightly confused, 'spaced out' feeling. This is followed by the final track in the title trilogy - 'Lonely'. With a brighter tone than the previous interludes, 'Lonely' also features a fuller, cleaner vocal - it's almost as if the puzzle has been completed. 'How Do You Feel' is the final track on the album. Unlike previous closing tracks on Maine albums, 'How Do You Feel' isn't as anthemic but leaves the listener with an open ended question which is interesting. Combining racing guitars, pulsing drums and a great vocal, this song truly summarises all tracks on the album and is a perfect end. Read our review of The Maine's 'Black and White' album here. Find out more about The Maine here.